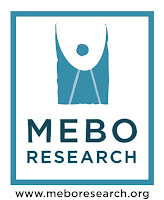 MEBO Research has been looking to be involved with the national and international Rare Disease networks. In the USA this includes NORD, which is the main USA network. In Europe the main network is EURORDIS, which MEBO are seeking to join and have developed contact with. Robert Pleticha is the Online Patient Communities Manager at EURORDIS, and has just sent this comment to be posted under Cheryl's TMAU youtube video.